I have had it with bad news! How about you? So I am going to spread the good vibes every Friday and you can join in spreading the smiles in the Feel Good Friday Linky. Every Friday I am going to post something that just makes me feel good that I know will touch others as well. If you have a blog, use the linky below to add a post that will make folks just feel good. If you don't have a blog, feel free to add a link to some Feel Good Friday inspiration you have found on the web. 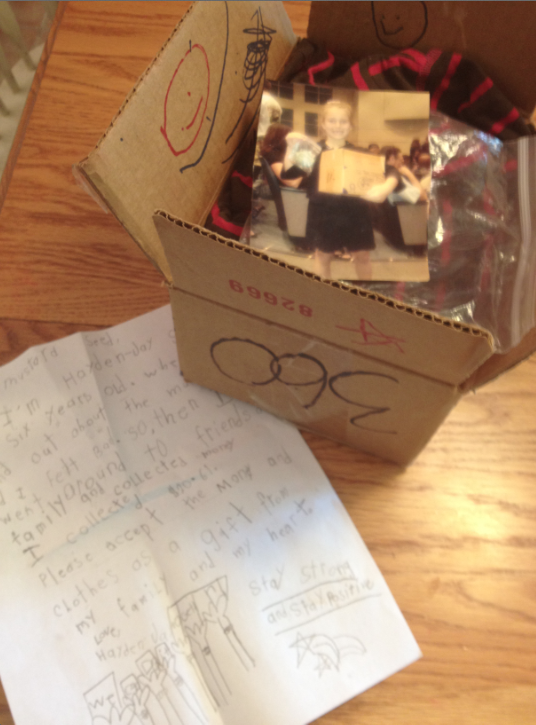 A few months ago, a mysterious package arrived in our mailbox from sender, Hayden-Jay Smith. As we examined the box we realized that is was from a child. When we opened the box, the contents included toys, clothes and a letter of some sort. 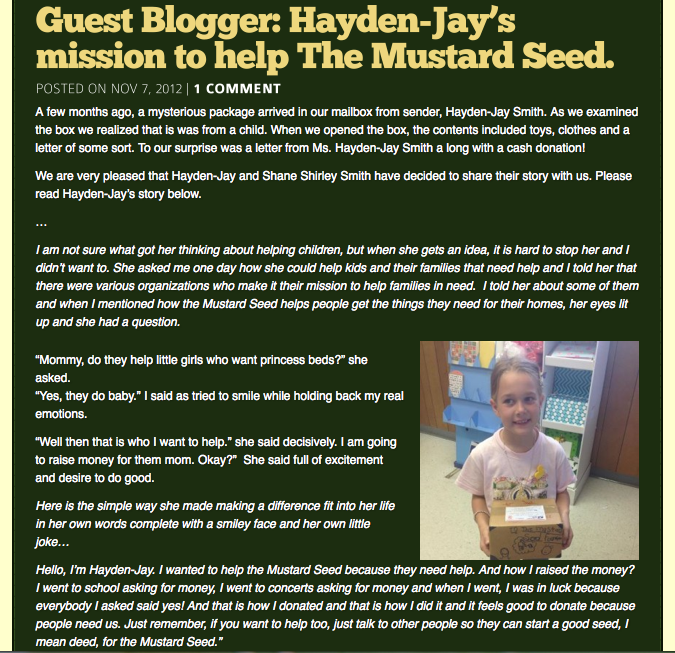 To our surprise was a letter from Ms. Hayden-Jay Smith along with a cash donation! We are very pleased that Hayden-Jay and Shane Shirley Smith have decided to share their story with us. 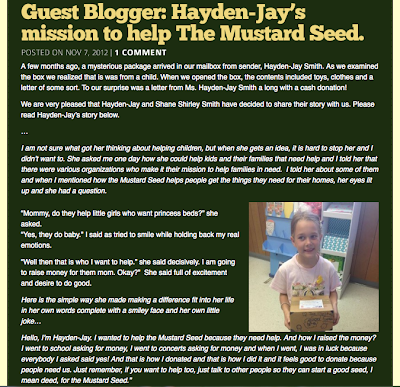 Please read Hayden-Jay’s story below. I am not sure what got her thinking about helping children, but when she gets an idea, it is hard to stop her and I didn’t want to. She asked me one day how she could help kids and their families that need help and I told her that there were various organizations who make it their mission to help families in need. I told her about some of them and when I mentioned how the Mustard Seed helps people get the things they need for their homes, her eyes lit up and she had a question. “Mommy, do they help little girls who want princess beds?” she asked. “Yes, they do baby.” I said as tried to smile while holding back my real emotions. “Well then that is who I want to help.” she said decisively. "I am going to raise money for them mom. Okay?” She said full of excitement and desire to do good. Thank you Mustard Seed for all you do to help families in need and those families like ours who were in need of something a little bit different than household supplies. We appreciate all of the good you share throughout Central Florida.